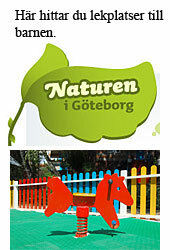 Fun for kids in Gothenburg - playgrounds, museums, swimming pools, birthday party, games. Fun for the kids in Gothenburg! What is there to do for the children in Gothenburg. 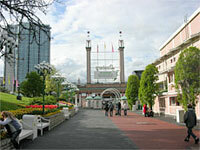 Why not visit a museum, go to Liseberg, go by boat, visit Universeum, or why not simply go to a place where you can play. 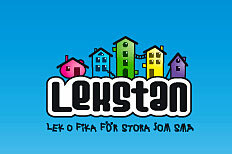 Below we have a few tips about what children can do in Gothenburg. We give a few tips about activities for children! Here are seven floors of different exciting things. Why not look at the sharks in the Ocean zone, or take a trip into space, walk in the rain forest and watching birds and other small friendly animals. If the young children don´t want to walk any longer. Take the elevator to the ground floor where there is a small playground with various toys. There are also toilets. Universeum is the largest science center. Have you not been here yet - we can recommend that you go here. Here you can come throughout the year! Is much to see for kids of all ages. There is a cafe in the ground floor and a restaurant upstairs. For those of you who want to experience a childrens party in a different environment can Universeum be exciting. Not far from Liseberg. Södra vägen 50. We have tested Universeum with a girl of 3 years. She digged "sharks" and the monkeys in the rain forest, the birds were so-so ... the stairs and elevators were fun. Although the department PULSE took points. There, she rode on the horse, went on monster floor, made large bubbles with a contraption. But what was the most fun?playground in the basement. Tip: bring a pair of indoor shoes to the children if you are here in the wintertime. Had liked to have seen that it was not so expensive to enter..
One of the children's favorite places during the summer. Take rides and go by roller coasters.Here's Flying Elephants, Pony Carousel and Bumper Cars and more. Take a break and eat popcorn, ice cream or cotton candy. Do you want to compete here lots of different games. For the smallest is Kaninlandet. The Bunny Wonderland is a place where you can visit the play-ground "Bus Stop" where kids can climb, ride the slides, go on suspension bridges, etc. Take a boat trip into the bunny land, pedal car in bunny land, take ar ride in the big or little roll & coaster etc. Liseberg suit children of all ages. For the older children are terms of age + length in some rides. You see a sign next to the respective rides. You can also try your luck at the many wheel of fortune, here you can win chips, chocolate bars, stuffed animals and other toys. The park has a variety of cafes, kiosks and restaurants. You can also shop for souvenirs in their stores. Also try your luck at the many wheel of fortune, here you can win chips, chocolate bars, stuffed animals and other toys. You enter from the Street Örgrytevägen or from Södra Vägen. Season: Summer Season April - Sep. Halloween: Oct. Christmas: Nov-Dec.
For the small chidren they offer various things of song, dance and crafts differnt times at the museum. 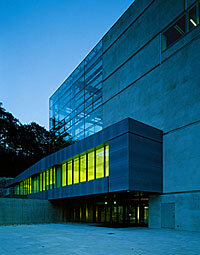 The museum turns to the older crowd with variuos exhibitions and events. Current issues in the World are presented at the museum. For the youngest children they present various events during the year, such as working with mosaic or why not "baby disco" every other Friday. (21 November). The exhibition is about questions about the wonder and difficult to live with others. 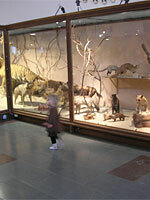 Please look at the childrens "Webmuseum" where you can follow the rat Mimus. Ability to print out paper dolls and some other thrilling activities. The museum has a restaurant and a little shop. NOTE! The museum will be closed between Sep 16, 2018 til the autum 2021 due to mayor rebuilding! The kids can get to the 3rd floor where the theme is "experience and explore life beneath, above and at the water." Here you can play captain for a day in the "T / S Super Tube". 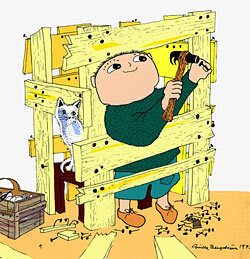 Do you want to play, make your way to the exciting playroom "Knattegatt" and climb, crawl and check out the wreck. Knattegatt is suitable for children aged around 3 years and more. The museum has a cafe on the ground floor . Free entry for those under 25 years. 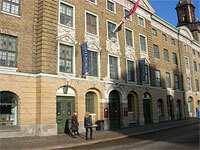 The museum is more for the older children with the story of Gothenburg from the past. Very interesting to see how Gothenburg looked at 1700´s. Here are several memories from the past. For the smallest head over to the 4th floor. Here you will find a small slide, a small tram, climbing wall and soft blocks to build with. Adjacent to the playroom, there is also the possibility to heat food in the microwave and sit down at their tables and chairs. Norra Hamngatan 12. Enter for free under 25 years old. We have tested the "playroom" and we found that to be most suited for toddlers 6mths-2,5years. The slide is really the smallest. The surface and the height to the ceiling is there! Why not exploit it to the max! Maybe install a high slide (kids love to ride a slide), more toys such as small strollers, more small toys to play with, pens and notebooks, small tables and chairs, puzzles, dolls, etc. In spring and summer it is a lovely place to visit. 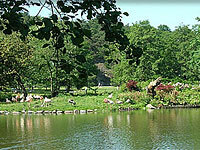 In the park you can wander around and look at the flowers, trees and animals. Grab an ice cream and sit down and enjoy. Are playgrounds for the kids. Oof course you can bring your own picnic basket and sit down on the grass. 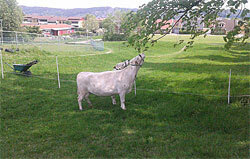 When it comes to animals, it´s maybe the childrens zoo, which attracts the most. During the summer, children can pet the kids and rabbits. Also the opportunity to ride a horse. For some paly , make your way to the playground "Plikta" . Here you will find exciting playground equipment that among them a fifteen feet long whale that you can climb on, swings, and trampolines . There is also the opportunity for self- grilling. Staff are on site every day . Access to the toilet , changing table for the little ones you will find in the red house . See the seals - go past the pond with the seals and try to fit in when they are fed (at 14.00 P.M). Do the children like penguins - also stop there for a visit. If the kids wants to do more, visits all the animals and watch the moose, wolves, pigs, etc. When it's time for a break you can buy ice cream or a hot dog in one of the Slottskogen kiosks. The playground Plikta get almost full marks. Well with all the toys, slides, the big whales, small trampolines, sandboxes etc.. Great to have lawns all around, you can buy ice cream close by and the opportunity to warm food and changing diapers for the little ones. It have been great if they could built one more house where you can warm yourselves during wintertime. Would have been great! 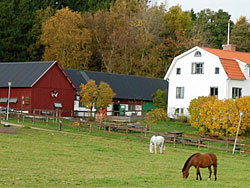 In Trädgårdsföreningen you will find Alfons Kulturshus. For children aged 0 to 8 years. Here children can crawl, play and climb. You will recognize environments from Gunilla Bergström's books about Alfons helicopter, his reading area and living room. You also recognizes his girlfriend Millan, grandmother and Mållgan. Aktivities: 3-4 activities per day, among others story time, theater and music. Parents can sit in the reading corner, free access to surfing on their Wi-Fi. Don´t forget to check you children! Cafe's and you can even heat food for the little ones. Entrance fee, free up to 2 years. Not allowed to bring your stroller! lending of baby carriers available.You can also shop with you Alfons "stuff" from the store. We have tested Alfons Åberg's Kulturhus with a 3-year old. Super fun, she thought. Does she set records in the number of times you can ride a slide. Travelling by helicopter, go to the movies and working in a grocery she liked too. Potter about in the kitchen and call in the phone booth was fun. On the top floor, it was a little quieter where you could cuddle and read books and play with toys. Up there was also a small cute child toilet. We had a brake with snack on their veranda outside, overlooking the canal. 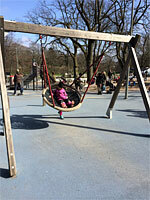 Suitable for older children, but the smaller can also come here (around 2 years and older). Can be a little difficult for the little kids to understand that they must not "pat" all the animals. Here children can see animals from all over the world! There are fish, crabs, look into the insect department, see the big elephant, lions, turtles, polar bears. Do not miss the great The Malm whale and Naturaliekabinettet with the two twins. A lot of stairs but there is a small elevator. A cafe on the ground floor and a small shop to shop in. Can sometimes be crowded in the cafe. Leave the stroller outside! 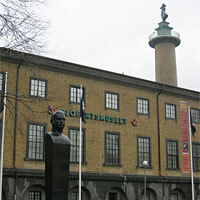 Located in Slottsskogen at Linnéplatsen. There is a large room one second floor where kids can "run around" but not so much to see and do there. Is a "fish pond" on the floor to step on. Summa ry: Does not fit so well for the youngest children. The children should probably be of school age just to get something out of it. Obviously, it can be a little exciting for even the small children due to the big space to running around in. We would have liked to expand the large surface area that were on the second floor with something interesting for children between 0-5 years. Suitable for older children. 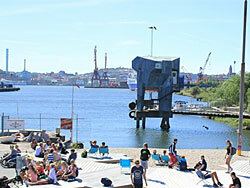 Here you can explore all the exciting boats and go down in submarine Nordkaparen. Children party: Do you want to celebrate children's birthday parties here? make an reservation. There is a café and shop. In the summertime you can buy ice cream. We have tested the Gothenburg Maritime Museum. This time without the kids :). It is an interesting place for both adults and children. 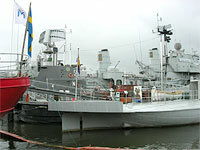 To walk aboard destroyer Småland and try to imagine what life on board was. Some climbing down and up steep stairs became too. The most difficult thing was to get down into the submarine. I do not understand how to work aboard a submarine - ugh, how crowded. Very interesting. 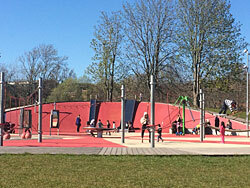 The park is one of Hisingen's largest playground. Here are climbing net, swings, sandbox, spinning basket, spinning cups, animal sculptures and slides. For those of you who want to skate or play football here a football field, skating areas. You can also gym here on their outdoor gym or play basketball. 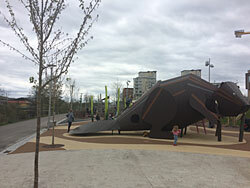 The surface of the playground consists of rubber asphalt and wood chips. Playgrounds are highlighted. Click on map to get bigger picture. 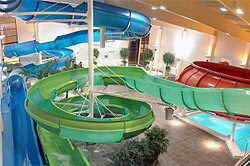 Here children can splash and enjoy swimming and slides in the lanes. For the older children there are 3 different tracks with different gradients. In the jungle lagoon, the youngest children splash around in 100sqm pool in 20-40 cm depth. In the lagoon there are small slides, animals and water spray. Would you like to swim in a really hot pool, they have one with 34 degrees. Aby is located a little bit outside the center of Gothenburg. Children under 4 get in free. Playland - here can the children play! If you are in the citycentre with the children and they want to play- we can really recommend Trädgårdsföreningens playground. It offers almost everything, swings (a little unusual than what we are used to), slides, sandboxes, climbing frame, others cozy swings to swing in. The substrate is made of rubber and summer time it is really nice for the children to walk barefoot here. In the park there are many green areas where you can relax on a blanket in summer time. If you need a toilet, visit the restaurant. Enter: free. The park is open year round from 7:00 to 6.00 pm. We have made a visit with the two children of 4 years and the little girl of 2 years. We had a amizing weather with sunshine and almost no wind. A perfect children's playground in the center. The swings were fun and most obviously the slides. They did not want to go home! Very good choice for kids! The environment is of course also absolutely wonderful! Here you will find a lovely play area for children. It is built on different levels and there are paths to walk on. You can use a wheelchair here too. Climb the 15-meter long whale, swing, slide, ride, jump on trampolines, play chess, borrow bikes, rides seesaw, walk a tightrope, etc. Every day there are people in place to lend bikes, games and organize activities for children aged 6-16 years. There is a grill where you can grill your own sausage. When lit, you can use it. Other time - bring your own charcoal and lighter fluid. In the red house there is a microwave , a toilet and changing table for the little ones. Also a few tables to sit at. During the evenings there is light until 22.00 on the playground. Here, children up to 10 years can play here. Children can ride a slide, go through tunnels and passageways, jumping on a bouncy castle etc. Also some games to play for a small amount of money that for example air hockey and basketball. Parents can link up free to the internet. But don´t forget to check your children! Children party: children party can be booked here. Cafe is located here. You are not allowed you bring your own food. Here, large and small children can play. Children can play around on the jungle gyms, jumping on trampolines, crawling in the secret passages, slide, throw balls in the ball pit, ride a racing game and play on a floor piano etc. 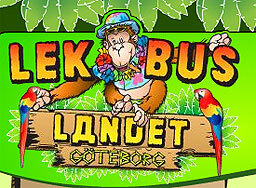 Save money with a Gothenburg Pass! With Göteborg's affordable city pass, you get lots of free entry and free sightseeing. The pass includes over 30 attractions. How about free admission to Liseberg, Universeum, The Maritime, Ostindiefararen Götheborg and free boat trip with Paddan mm. A little outside of town! Visit Ladan" where you can come and go as you please, admission free. Children can watch the animals who are here, cows, pigs, rabbit, goat, guinea pigs and horses. 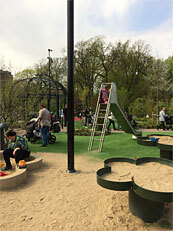 Children can also jump into the"Hoppet". On special occasions of the year, usually around "Valborg" and once in the autumn, organized rides, fish pond, etc. Place for grilling there and a warming hut. Come to Partille and play with your children. Here is a big beaver to on and in and many other things to climb on. 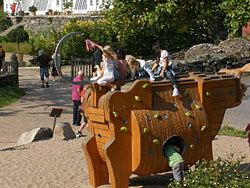 At Gunnebo Castle there is a playground as you walk past the castle against the horses. Here is the kossan Maj-Ros that the children can climb up on. They can also swing on Poppy and Vippen, which is her calves. After the game you can visit the horses or have a coffee in their cafe. If you want more play at a playing ground, you can go to Hisingsparken. Near Kättilsröd's 4H farm you can park at the Ice Hall. 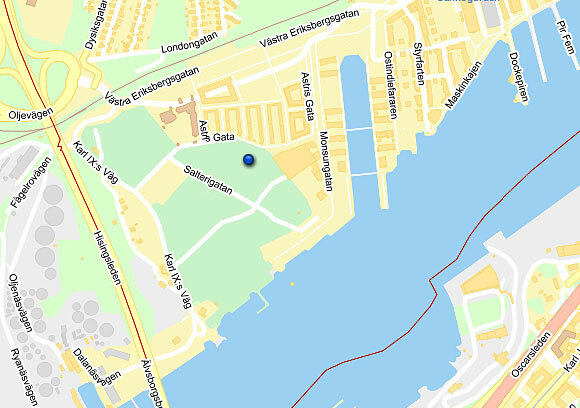 Now you are close to a part of Hisingsparken. At the beginning of the park you will find a playground. Feel free to take a look at what's happening in the Jubilee Park in Frihamnen. Officially opens in May, but activities are taking place from time to time and under the school holidays. During the summer there are activities like sailing, skating, etc. In the area you will also find a sauna that opened in 2015. You can also swim in the area. June 4, 2021, the park will be opened. Until then, houses in the area will be built and much more. 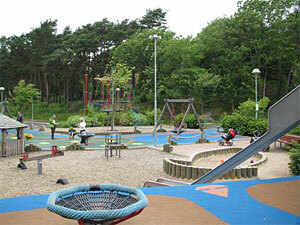 Address: The Park i situated at Frihamnen 7. In Angered you will find a large playground behind Angereds Torg. Bring a picnic blanket in the summertime and have a snack and play with mixed toys. In the summer, there is a water area on the playground. Bring a bathing suit.